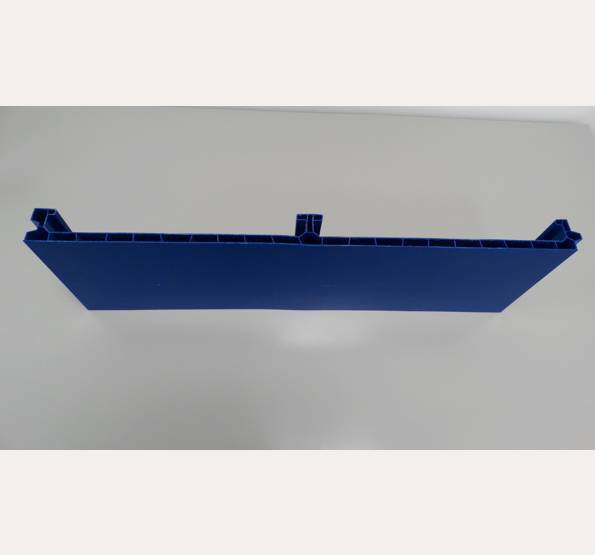 35mm robust panels clip-on to a simple scaffold matrix. 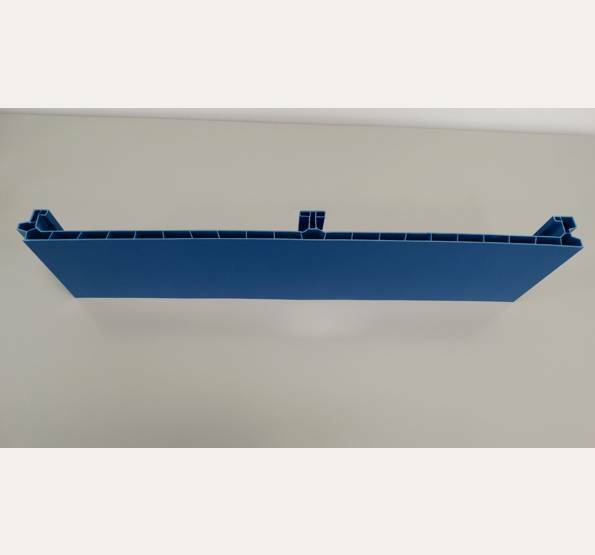 1 linear metre = 2 panels. 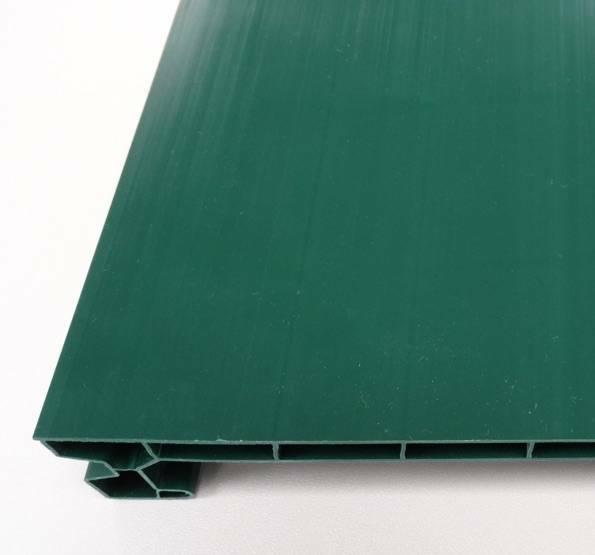 To calculate the number of panels you require, multiply the linear metres by 2. 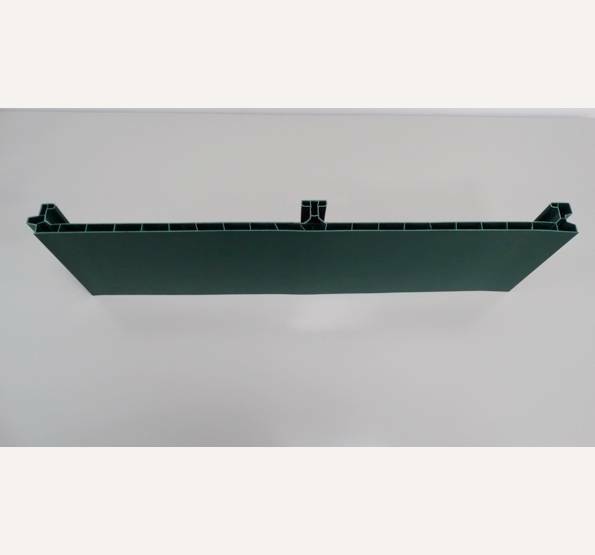 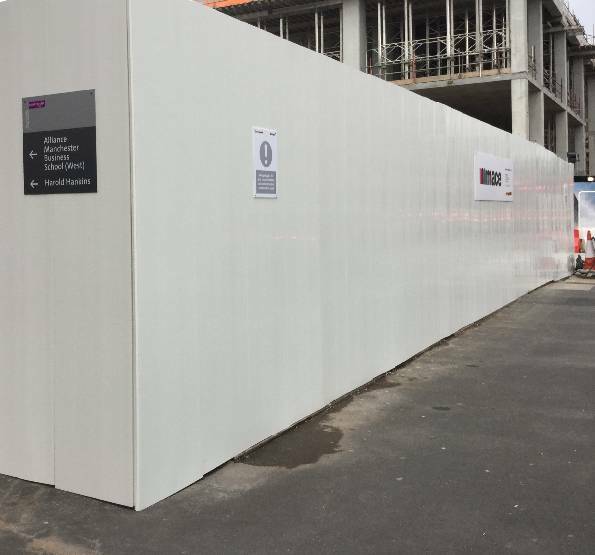 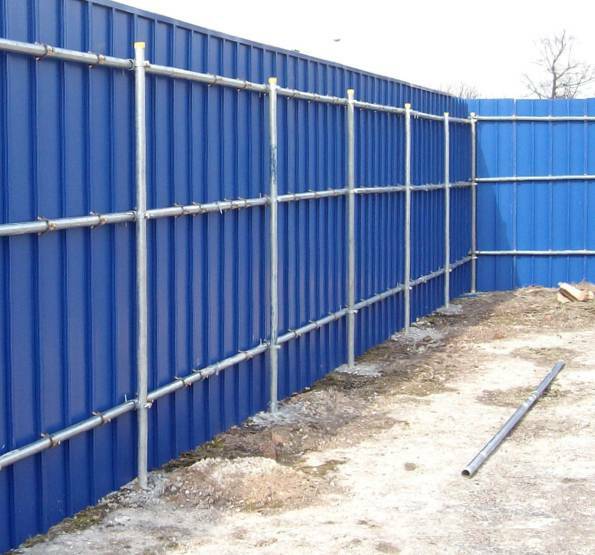 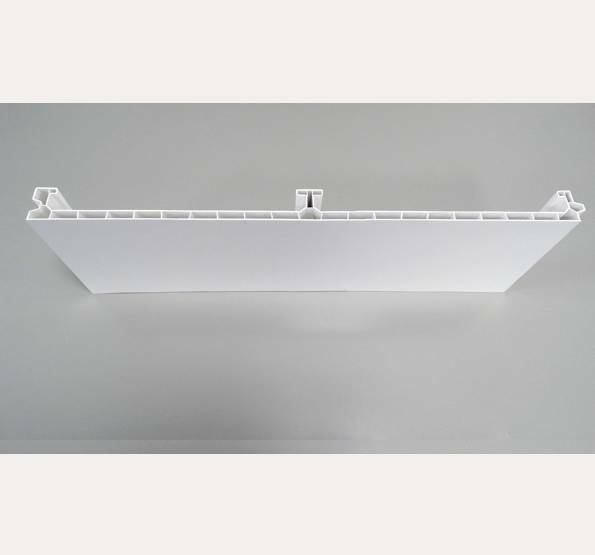 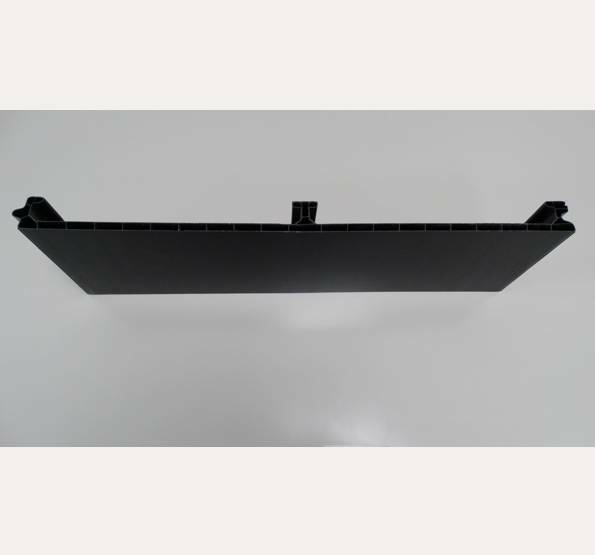 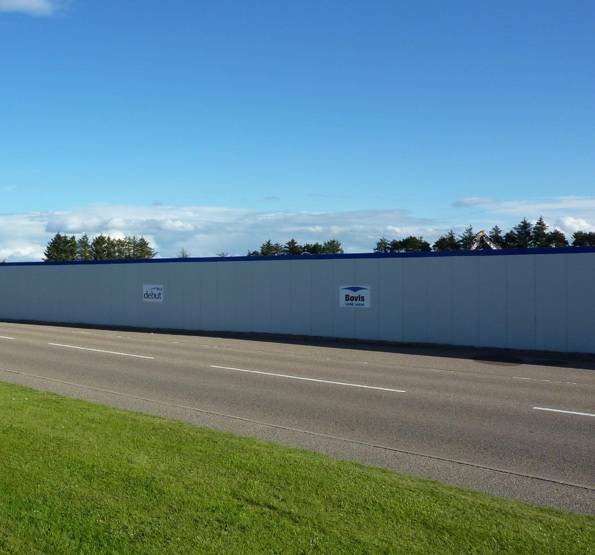 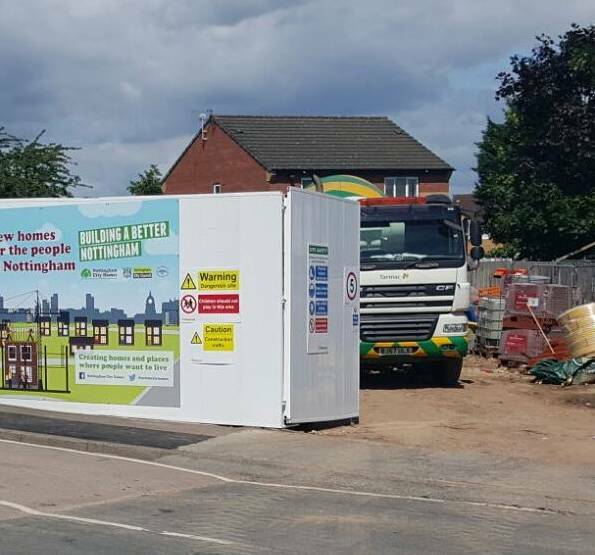 Fix to Scaffold Site Perimeter 500 hollow form panels clip securely to scaffold frames to create a robust, fast-fit perimeter hoarding for building and construction sites. 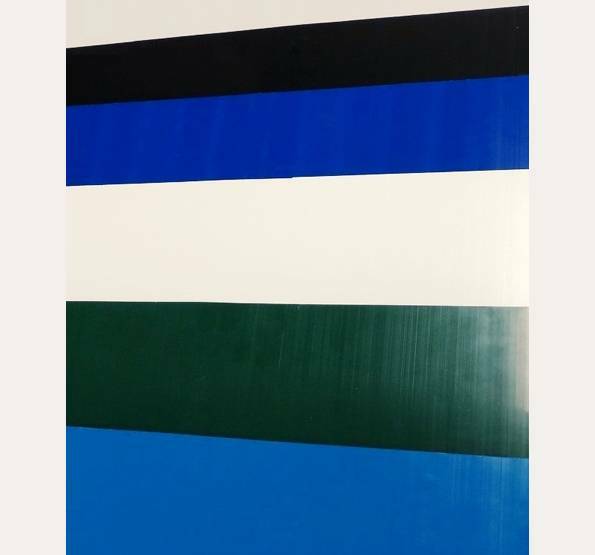 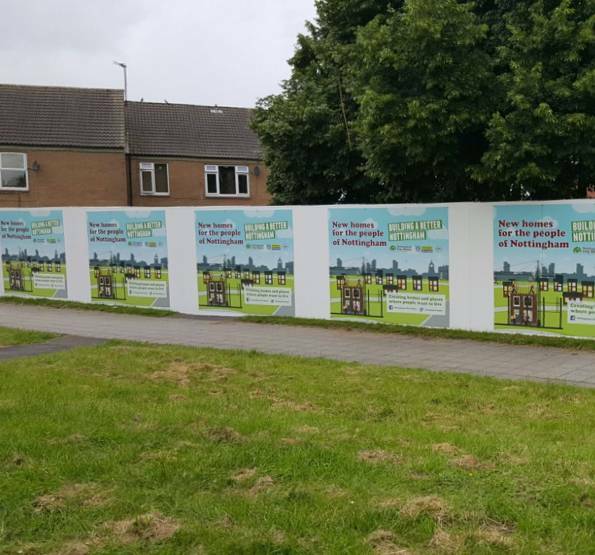 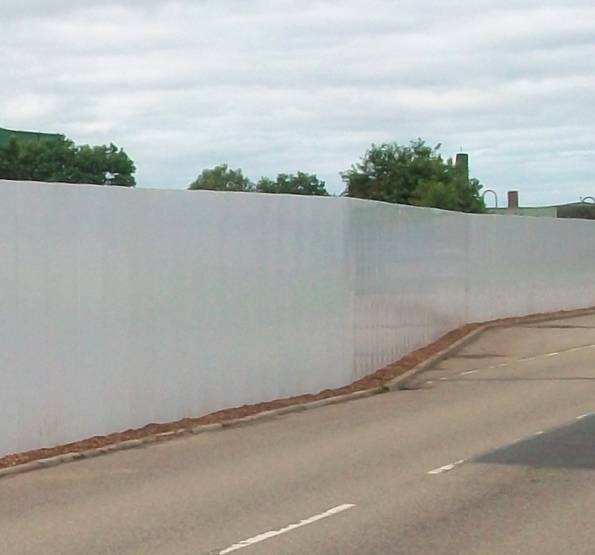 Interlocking panels click together to create a smooth run of maintenance-free hoarding. 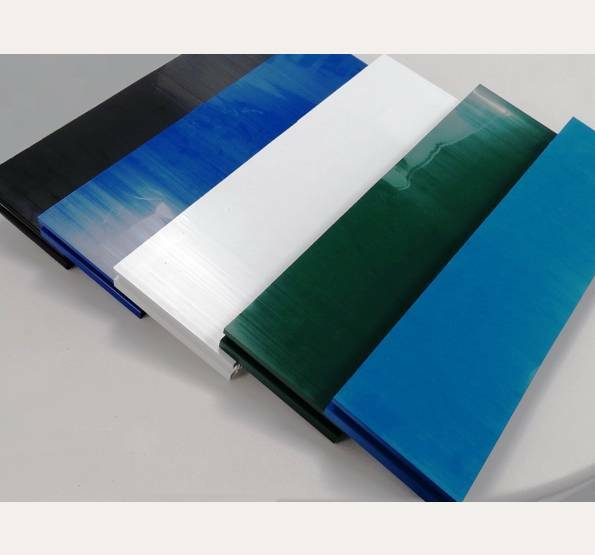 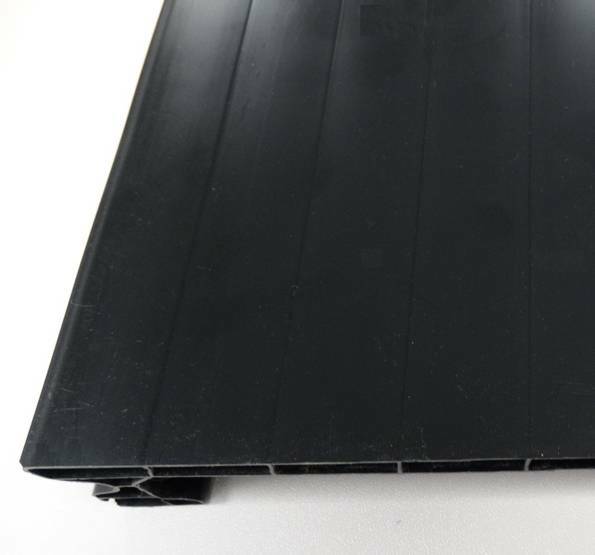 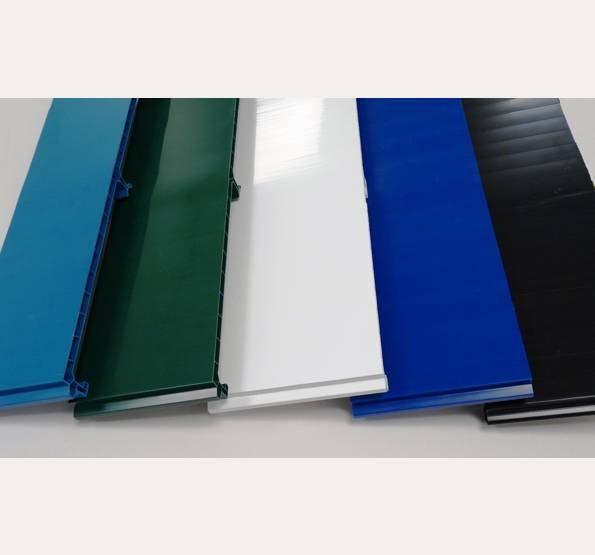 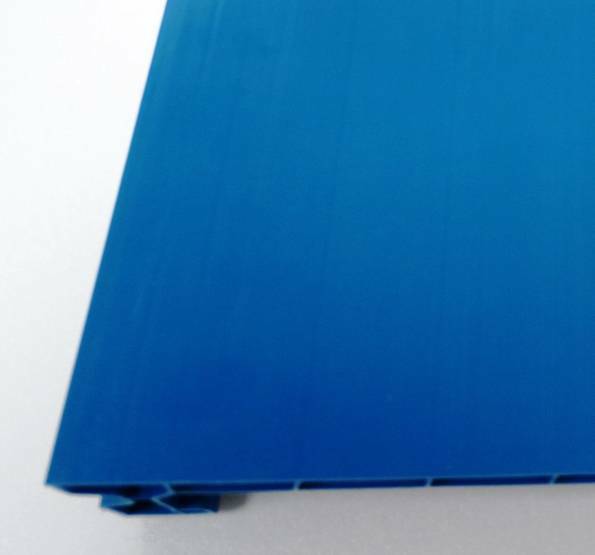 Re-usable and re-locatable modular panels are made from 100% recycled PVC.